Virginia Beagle Rescue View other Beagles for adoption. 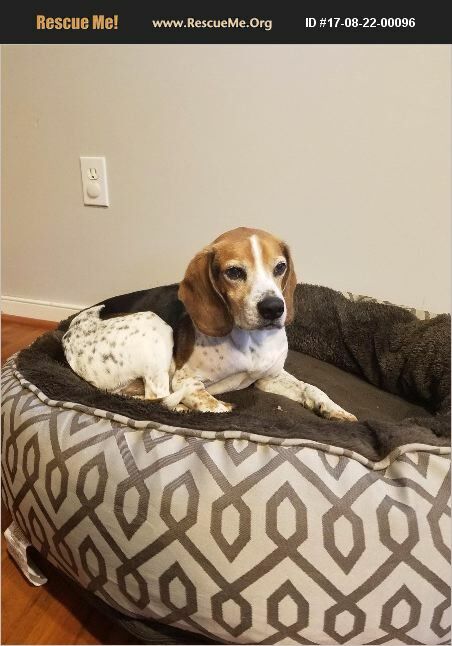 Male beagle, age unknown but most likely 10+ years. House and crate trained. Spends most days napping in his dog bed. Would be perfect for an older person/retiree that needs a companion. Not recommended for a home with small children as he startles easy and will snap at them when startled.